Whisprd Designz CT: Zindy in Pink! 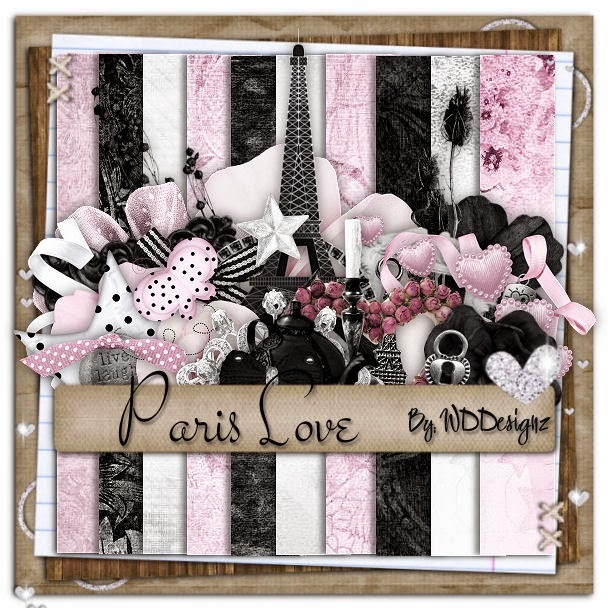 A new set of extras for you, using the gorgeous kit "Paris Love" by WDDesignz, and the art of Zindy. This kit is stunning and Pink (For those who like Pink =)),includes 10 Papers, 6 frames, and 47 Elements! Be sure to check it out today HERE at Whisprd Designz Store. You can grab tubes by Zindy HERE at her store.